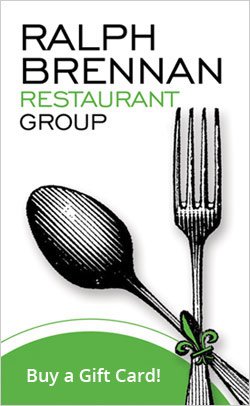 As featured in Brennan's New Orleans Cookbook ! 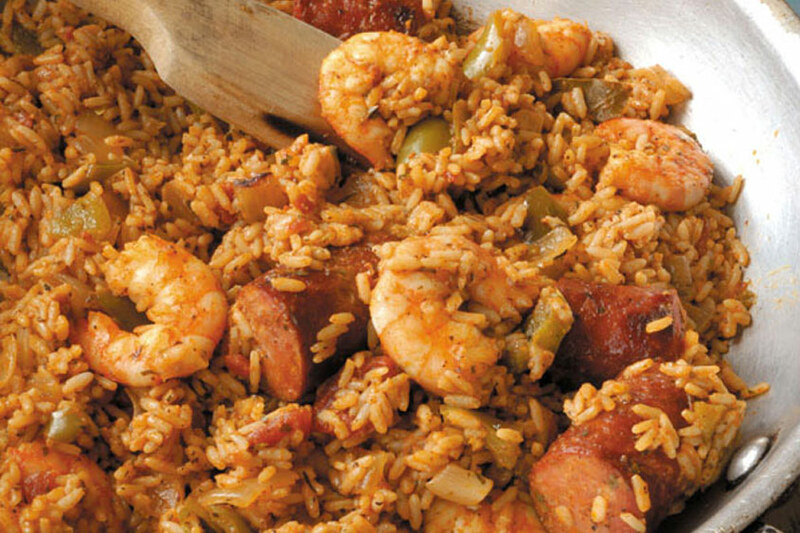 Over the decades, jambalaya has taken on a multitude of identities in South Louisiana. 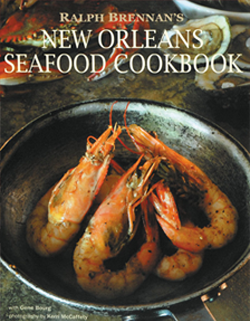 The classic New Orleans dish with shrimp and ham is among the “red” jambalayas, thanks to the presence of tomatoes in it. 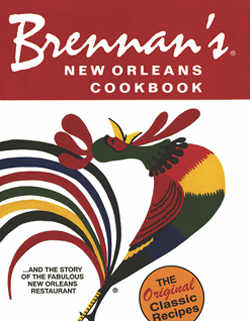 In many of the Cajun communities to the west of the city, “brown” jambalayas, with oysters, giblets and lusty country sausages, are more familiar. Over medium-high heat, melt the butter in a heavy, nonreactive saucepan or Dutch oven. Add the sausage and pickled pork or ham and cook until all of the fat is rendered out of the meats, about five minutes, stirring occasionally. Add the yellow onions, the white part of the green onions and the sweet peppers. Cook the vegetables until they are clear, about five minutes, occasionally stirring and scraping the pan bottom clean. Add the crushed tomatoes, tomato purée, garlic, bay leaf, table salt, black pepper, cayenne, and thyme. Cook and stir this base sauce about two minutes. Add the chicken stock and pepper sauce to the base and bring to a boil. Reduce the heat to maintain a strong simmer, and simmer the liquid uncovered until it is reduced by one third, about one hour 15 minutes. Skim any foam or coagulates as they develop on the surface. Return the liquid to a boil and stir in the rice. (should still be a little firm in the center), about 25 minutes, stirring occasionally. 3 minutes. Do not overcook. Stir in the green part of the green onions.